There are so many amazing features and benefits of our business, but the longer we are with this ‘family’ the easier it is to take them for granted. 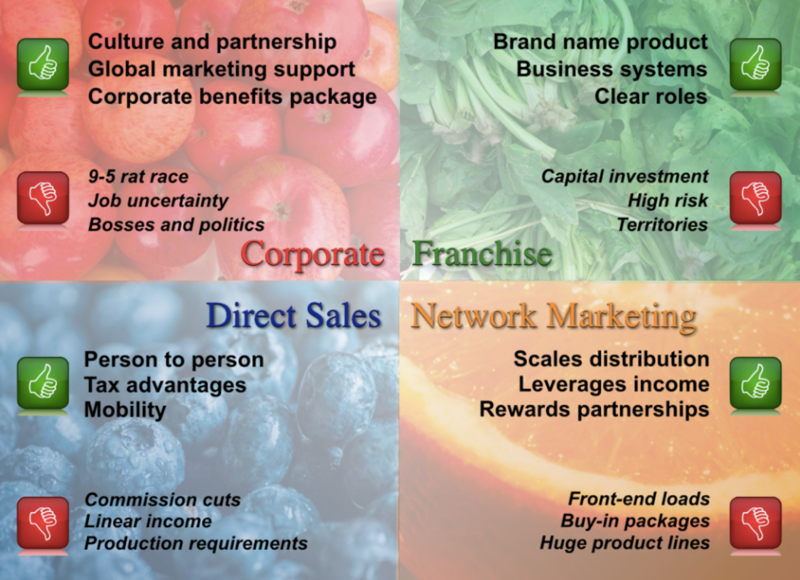 So here is a list of “uniques” to educate our business prospects and our new team members and remind the rest of us what a blessing it is to be a part of a company and business so profound. are 43 years old, with an impressive history, are cash rich and debt free, yet are as fresh as the morning dew? Ours is! have a difference-making mission by “inspiring healthy living around the world”? Ours does! ship product to their customers before they pay for them, and have a 100% money back guarantee? Ours does! offer a technologically advanced product that everyone needs, everyone can afford, but almost no-one has? Ours does! offer a unique product that stands head and shoulders above all others, with a Nutrition label because it’s food. Ours does! back their products with gold standard clinical research instead of marketing pizzazz? Ours does! have the highest standards of certification for their products and quality control (NSF, Kosher, TGA, Swiss Medic)? Ours has! care so much about our next generation that they provide free product for children and teens, for up to 4 years (totaling $300 million so far) to secure their health? Ours does! care so much about the customer, that they reship product at no charge if a customer did not receive it? Ours does! have thousands of unsolicited experts in the field (in our case, health care professionals) underwriting their efforts? Ours does! has hundreds of experts volunteer (at no charge) to educate representatives and customers on all matters of good health? Ours has! give generously to many deserving charities – both money and time (employees can volunteer on their paid time)? Ours does! ensure that every aspect of their products and their manufacturing are eco-friendly? Ours does! provide first class internet support and promotional materials to their field Reps? Ours does! offer a business model with very low start-up costs, virtually no overheads, no territorial restrictions, with huge rewards? Ours does! teach you, at no cost, everything you need to know to be successful here, anywhere else in business, and in life? Ours does! will give you a 6% raise and a $100 cash bonus in your first 30 days? Ours does! will give you a 14% raise and a $300 cash bonus in your first 60 days? Ours does! have given over $12 million in cash bonuses in the past 7 years (during the recession)? Ours has! let you restart so you can get that bonus you missed? Ours does! continue to pay you, even when you’re unable to work? Ours does! restart in the same position/level after any length of sabbatical, without any demotion or penalties? Ours does! dreams and help you realize them? Ours does!!! ceiling or ceiling of any kind, with room at the top for everyone? Ours does! benefits package and annual bonus to those in higher positions, even though we are not employees? Ours does! inventory, order processing, billing and shipping, as well as research and manufacturing? Ours does!